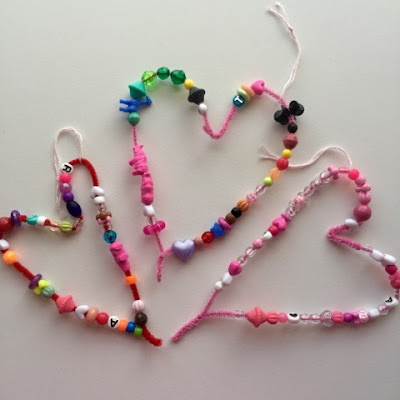 The Daily April N Ava: Simple and Quick Valentine's Craft! Simple and Quick Valentine's Craft! 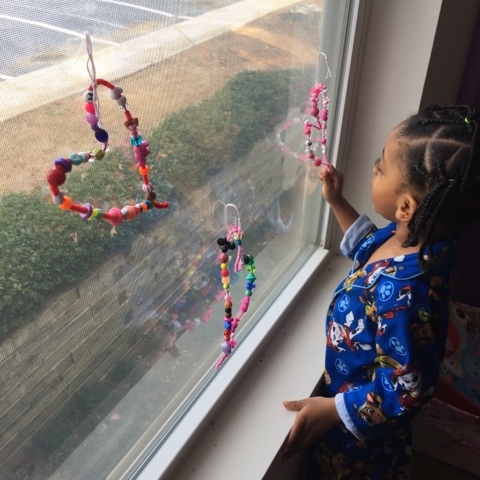 Valentine's Day is quickly approaching and Ava wanted to decorate the windows to celebrate. I came up with the super simple and quick idea of beaded pipe cleaner hearts! They are very easy to make and chances are, you already have the supplies. Have a look below to see how these beaded hearts are made. It is always good to have a stash of art supplies for impromptu craft projects. I used pipe cleaners, beads and bakers twine. 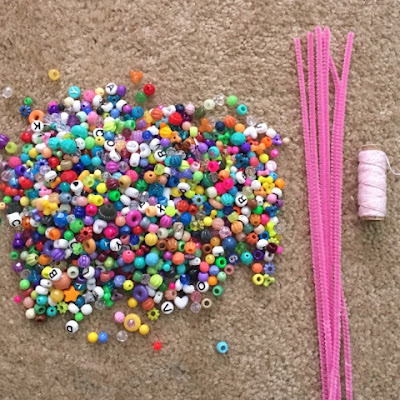 I have had these beads since I was a child making friendship bracelets! 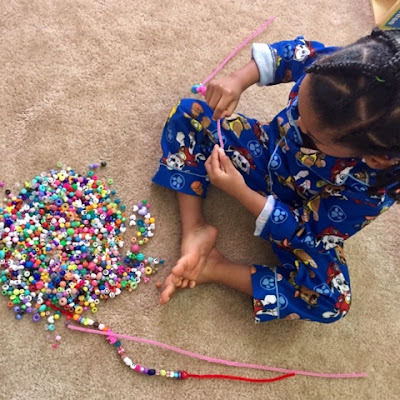 Take two pipe cleaners and twist them together to make one long pipe cleaner. 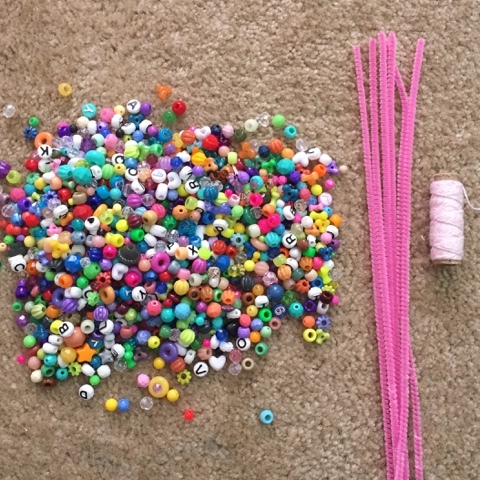 Now, have fun beading! This is great for fine motor development. After the pipe cleaner is beaded to your liking, twist the end pieces together as shown and begin to form a heart shape. That is it! See, very simple. We hung our hearts on the window for the neighborhood to see! Ava enjoyed making her hearts and now wants to make hearts for everyone to give on Valentine's day. Sounds like a great idea to me! We will probably make a few more crafts to celebrate the day of love and I will be sure to share them here. Until next time!